Infrared Body Massager is a Classy electric dolphin shape full body massager. Its portable and travel-sized design. 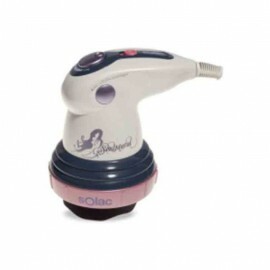 This body massager provides soothing effect to your body. Ultra-compact & light weight, convenient for carrying. Massager increases blood circulation & relaxing muscle. Best to use while summers when you get tired of days long work. The simple shape design makes the use smarter. The curve handle can prevent slide, easy to hold and comfortable to operate. You can enjoy the vibrate massage, far infrared and magnetic therapy synchronously. There are three massage models, two speed settings can be chosen at will. Three changeable massage heads can be chosen to make the massage more useful and comfortable. Massage the acupuncture point of feet promote the blood circle. Receive tired of the body. It has the best effect for house and office use. Rated voltage : ac 200 v-240 v.
Frequency 50 – 60 hittites. Vibration frequency : 2600 turn points – 3200 turn points. Package Size: 42 cm x 13 cm x 12 cm. 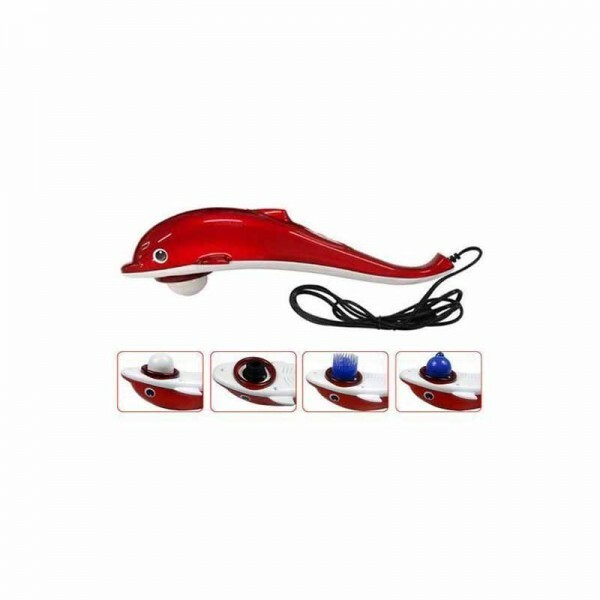 1 x BIG Dolphin Infrared Hand Use Massager.